JOHANNESBURG – Die bom wat in Money Point in Bedfordview ontplof het, was gelaai met skrapnel en is ontwerp om te verwoes – maar was dalk nie vir Radovan Krejcir bedoel nie. Twee van Krejcir se kamerade is dood, drie kritiek beseer en nog twee lig beseer toe ’n bom gelaai met skrootmetaal eergister omstreeks 17:20 by Money Point ontplof het. Dié onderneming in Bradfordstraat is ’n hoëklas-pandjieswinkel en leen ook kontant uit. Na verneem word, was Ronnie Vuma, een van die oorledenes, moontlik die teiken omdat ’n transaksie met ’n onbekende derde party skeefgeloop het. Independent organised crime investigator Chad Thomas, from IRS Forensic Investigations, said Krejcir needed to be taken into protective custody if Tuesday night’s explosion was not staged, "until such time as his refugee status is either confirmed or he gets deported to the Czech Republic". 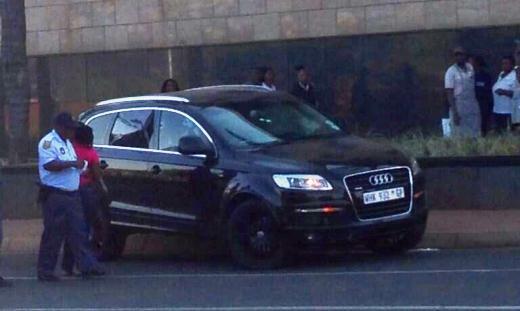 BEDFORDVIEW – Eyewitness News understands the Audi Q7 Sam Issa was shot and killed in on Saturday morning was spotted outside Czech businessman Radovan Krejcir’s gold exchange shop, Moneypoint, less than 10 hours before. Issa, who was also known as ‘Cripple Sam’ and ‘Black Sam’, was shot dead by a gunman who pulled up next to him at a traffic light near the Bedford Centre in the early hours of the morning. 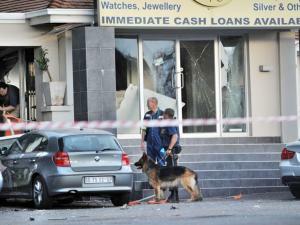 It’s believed an AK47 was used and more than 30 empty bullet cartridges were found on the scene. It’s understood Krejcir and Issa had a fall out a few weeks before the shooting, but Krejcir has strongly denied being associated with the Lebanese national. While Krejcir has claimed he only knew Issa from around the neighbourhood, describing him as a "strange man," Issa’s friends have described him as a "party animal." Johannesburg - Independent forensic investigators have said the latest murder of an associate of Czech fugitive Radovan Krejcir appeared to have been a hit staged as a robbery gone wrong. One of the investigators said he suspected that these murders were being ordered by Krejcir’s enemies as a warning. Veselin Laganin was shot dead in his Bedfordview home in the early hours of Saturday during a robbery, police spokesman Brigadier Neville Malila said. JOHANNESBURG – Police have confirmed that it was 54-year-old Veselin "Vescko" Laganin who was shot and killed at his Bedfordview home in the early hours of Saturday morning. According to police spokesperson, Brigadier Neville Malila, the shooting took place during an alleged housebreaking robbery at Laganin's complex. Two men had entered the residence, and shots were fired by the assailants. Malila confirmed that jewelry and cellphones had been stolen. He also reported the police had recovered firearms outside the property. Major General Simon Mapyane was arrested for submitting fraudulent travel claims in May. This was revealed yesterday in a statement from the police head that has experienced “a huge sense of disappointment” for the second time this year. The first was Gauteng’s hired and fired intended police Commissioner Mondli Zuma. He was appointed to the post with a pending criminal case from 2008 for drunken driving (0.65 mg per 1,000ml) hanging over his head. THE POLICE in Gauteng said yesterday they had intensified the investigation into the killing of Bassam Issa, who was gunned down in Bedfordview on Saturday. Spokesman Brigadier Neville Malila said police had received information from members of the public, including possible witnesses. Issa had stopped at a traffic light in his car, an Audi Q7, when a white Ford Ranger approached and its occupants shot at him with AK-47 and R5 rifles, said Malila. More than 30 spent rounds were found on the scene. "Various items, including a .38 revolver, 9mm rounds and a silencer, were found in the victim's vehicle as well as four cellphones," said Malila. "The motive for the killings is unknown at this stage and a case of murder is being investigated by a provincial multidisciplinary team." 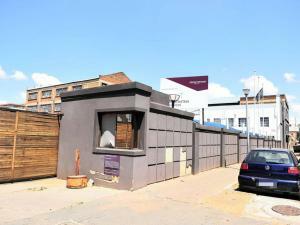 Johannesburg - The now defunct Department of Public Transport, Roads and Works leased a building in Doornfontein, Joburg, in 2008 for three times what it was paying a previous landlord. The department's employees have described the building as filthy. 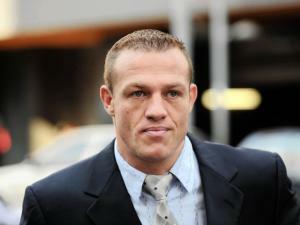 Johannesburg - The self-confessed triggerman in Brett Kebble's murder, notorious underworld figure Mikey Schultz, has been named in the Dave Sheer Guns scandal. Earlier this year, The Star revealed that the arms trader, the biggest in South Africa and Africa, was being investigated by numerous state departments amid allegations of police bribery. ALL Norwood police sector vehicles will now be connected, all thanks to IRS Forensics which donated five cellphones and car chargers to the Norwood Community Policing Forum chairperson Duncan Barker. 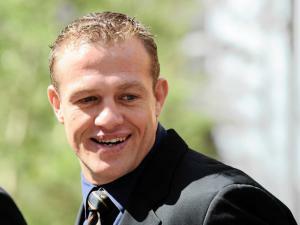 Johannesburg - A red Ferrari landed a businessman in jail and led to charges being levelled against a Joburg car restorer and Brett Kebble’s killer, Mikey Schultz. The Ferrari F430 Spider, worth more than R3 million, belonged to Joburg petrol station owner Alimed Farouk Hajat. Hajat fell behind on the payments for the luxury vehicle, and BMW Financial Services won a Pretoria High Court case last month to have the car returned to them. But Hajat, in an affidavit, said he could not return the Ferrari because he had given it to a friend, car restorer Raymond “Razor” Barras, who in turn had given it to Schultz. Hajat said Schultz refused to return the car and had allegedly demanded money to give the Ferrari back. Pretoria - He was known as Pretoria’s celebrity lawyer who, just a few years ago, was so wealthy he drove a Ferrari, and named Joost van der Westhuizen, James Dalton and Steve Hofmeyr among his clients. 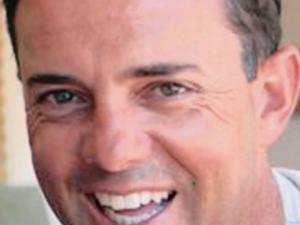 Now Peet Viljoen is on trial for fraud, has lost his licence to practise as an attorney and has been sequestrated. His alleged desperate attempts to have charges against him dropped have led to new charges being laid against him for allegedly harassing senior police officers, private investigators, journalists and politicians. Cases of harassment and crimen injuria have been opened against Viljoen by Chad Thomas, a forensic investigator from IRS Investigations, for alleging that he and numerous police officers in the Gauteng Hawks are corrupt. His allegations have included attacks on the provincial head of the Hawks, Major-General Shadrack Sibiya. Johannesburg - A private investigator has come forward to say his company was also aware of investigations into Dave Sheer Guns, which have been continuing for a number of years. Chad Thomas, an independent organised crime investigator from IRS Forensic Investigations, said he had been aware of enquiries into employees of Dave Sheer Guns conducted by senior investigators. He said they were from several elite units, including Crimes Against the State, the Anti-Corruption Unit, the military police, the national conventional arms control committee and defence intelligence. 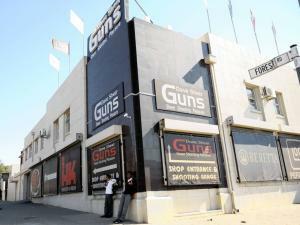 The Star has exposed an investigation into the Joburg gun shop conducted by the Hawks and forensic investigator Paul O’Sullivan. NORWOOD - Police are investigating the alleged hijacking of Waverley Bowling Club by a man who allegedly rented out parts of the club illegally to individuals under the City's nose. Police spokesperson Constable Nonzwakazi Tsoanyane said, "A fraud case was opened against the accused by the latest victim of the alleged scam and it's under investigation." The complainant was Bevin Petersen, a businessman and co-ordinator of 5-a-side soccer at the club. He said in October 2011 he negotiated with the accused to rent the bar. "I was under the impression that the man was duly authorised to enter into a lease agreement with me and that he in fact was the landlord of the premises. In November of the same year I officially took over the running of the bar at the club. We agreed on a rent of R15 842.85 per month.